Is Excess Fat Making You Older? Scientists have uncovered direct evidence that excess body fat accelerates the aging process. In a study published in the medical journal The Lancet, researchersfound that obesity adds nearly nine years to a person’s body. Scientists examined cells on a molecular level and found that the more people weigh, the older their cells appear. Their findings also suggest that obesity-related health problems like heart disease, diabetes, cancer and arthritis may result from fat cells advancing the natural course of aging. Scientists need to further investigate the link between obesity and aging, but it’s clear that we need to improve our health on both fronts. To do this we have to examine the mechanisms that link the two. Inflammation- The immune system is the body’s first line of defense against damage. As we age, the cells in our body change, causing cells to produce low level, chronic inflammation throughout the body. Inflammation is linked to a number of chronic diseases such as type 2 diabetes, heart disease, and cancer. Research has shown that being overweight increases response from the immune system, causing the body to generate excessive inflammation. Chronic inflammation can render a key weight management hormone called leptin ineffective, and lead to weight gain. Foods found in the Western diet (high-fat, fried, sugary foods, refined grains, and processed meats) contribute to inflammation. Insulin Resistance- Aging is known to be associated with greater insulin resistance and decreased glucose tolerance. These factors increase risk of type 2 diabetes, which increase risk of heart attack, stroke, vision complications, and kidney failure. According to the Obesity Organization, almost 90 percent of people living with type 2 diabetes are overweight or obese. Diets rich in fat and sugars are thought to be associated with the development of insulin resistance. Visceral Fat- Age plays a role in body composition. As you get older, muscle mass decreases while fat increases. Excess fat in the abdominal area can wreak havoc on your health. Visceral fat increases inflammation, impairs insulin response, and increases risk of heart attack, stroke, and development of certain cancers. These mechanisms seemingly feed each other in a vicious cycle of weight gain and health risks. The good news for us is that they these are all areas that we can improve upon. We can lower our risk factors of all three through weight loss. Losing just 5 percent of our body weight can produce significant benefits. 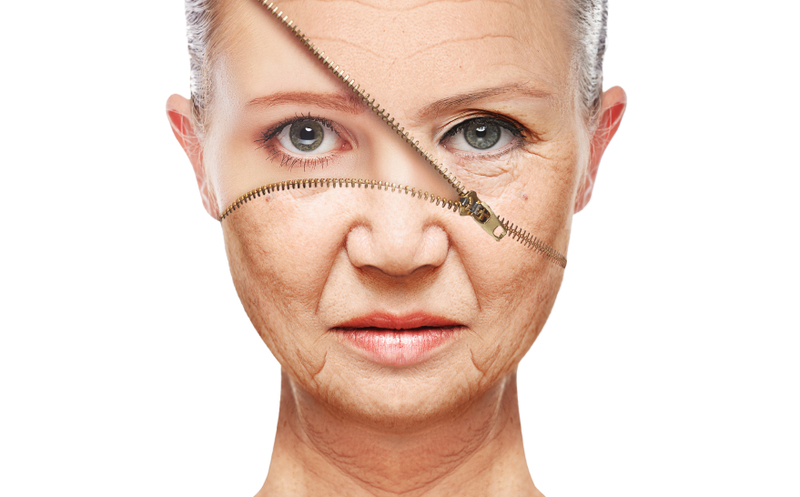 Bottom line: You may not have grey hairs, or wrinkles on your face, but that doesn’t mean you’re not aging. If you are suffering from obesity, your body is accelerating the process and putting you at greater risk for health conditions common later in life.